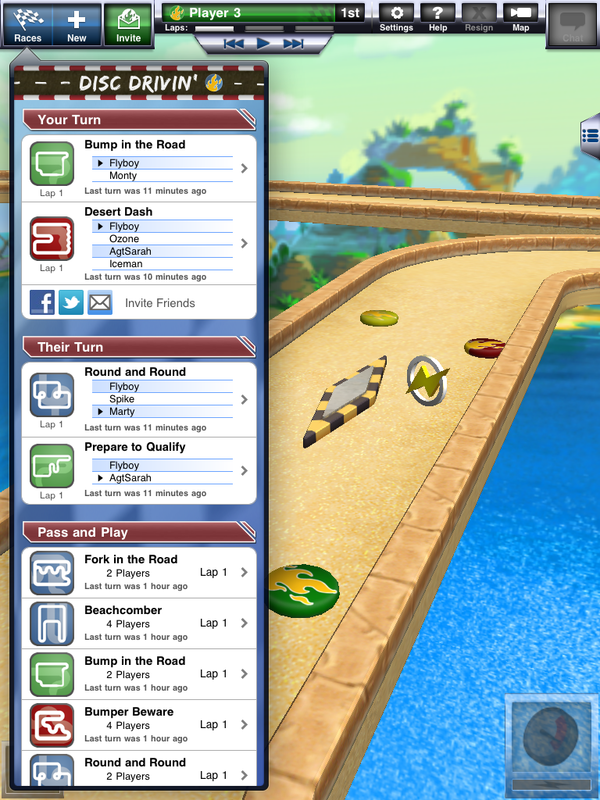 Attention iPad owners, the amazingly addictive asynchronous racing game, Disc Drivin’ is coming to the “big” screen. That’s right, Pixelocity Software will soon be launching Disc Drivin’ HD, a special version of Disc Drivin’ especially designed to take advantage of the iPad’s expanded real estate. The game will have all of the same features and tracks as it’s iPhone counterpart, it’ll just be “even bigger and more beautiful…and run super smooth and fast”. You will be able to play with up to 8 players for local games (pass-and-play, bluetooth, wi-fi), while online play is still restricted to 2-4 players. This is the same on all versions of the game. However, unlike the iPhone release, which is currently available in both a free, ad-supported version and a paid version without ads, the “HD” iPad release will ONLY be available in a paid, ad-free release. While Disc Drivin’ HD will be a separate app, current bleary-eyed iPhone and iPod touch Disc Drivin’ fanatics needn’t worry, as they will be able to utilize their same login/account and play against players on any iOS platform. In fact, if you own both releases, you can freely play on all versions simultaneously, going back and forth between free/paid/HD with all of your same games. Pixelocity co-founder Michael Bean did note that there is a small amount of non-impacting data that is locally cached that won’t transfer (ie. marking of chats read, recent opponents list, etc), but everything else should be seamless when switching amongst releases. While the HD version is certain to be just as much (if not more) fun than the original, it remains to be seen if the larger screen will offer an advantage in online matchups. I guess we’ll find out in a few days. 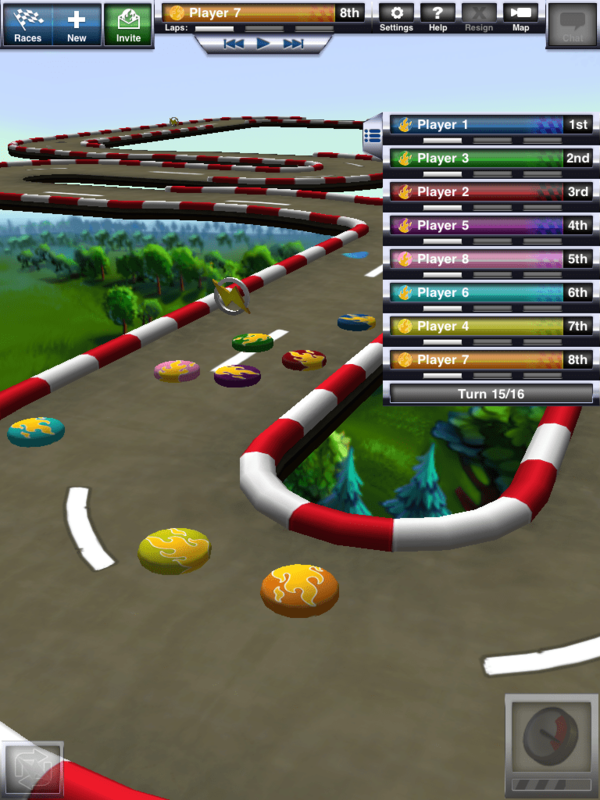 In the meantime feel free to challenge any of us on the AppAddict.net team to a race: otggamer, kyool or theeternal.